Rapper K2 has sent a cute birthday message to his ex-girlfriend and Team mate on Big Brother Mzansi season 2 Blue Mbombo & her twin sister Brown Mbombo. The hip hop star whose real name is 'Katlego Mabusela' has proved his critics wrong by sending a birthday shout out to his ex-lover following their unexpected break-up this year. A lot of fans blamed K2 for the break-up claiming that he had caused it after he cheated on Blue. 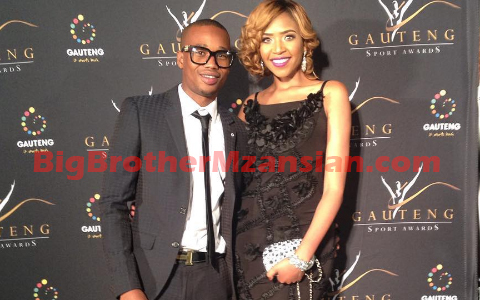 K2 has since revealed that the split was amicable and that he gets along with all his Exs including Blue Mbombo. And now K2 has proved what he said by writing Blue and her twin sister a cute birthday message. “Special shout out to our favorite twins.. Happy Birthday You Two !!! Stay blessed and may you live a long and prosperous life..!!”. K2 wrote.